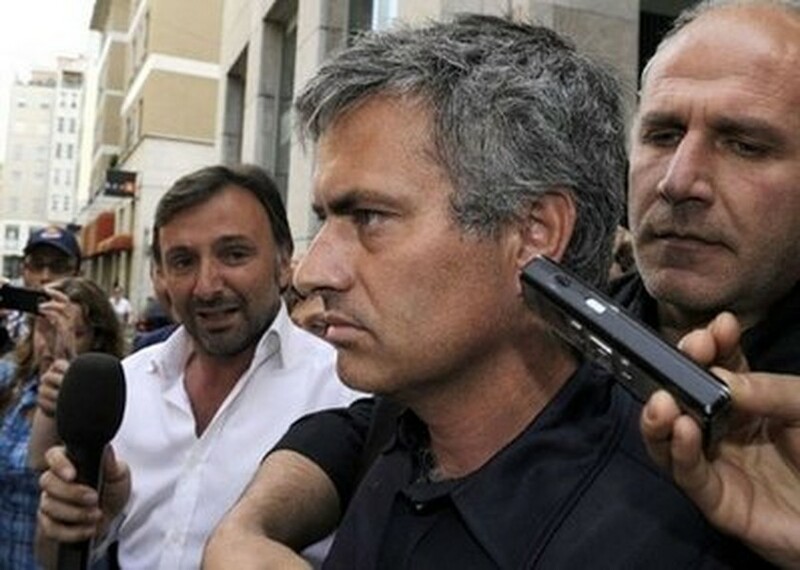 MADRID, May 27, 2010 (AFP) - Inter Milan coach Jose Mourinho, lined up as the future Real Madrid boss, is already planning the set-up at the Spanish giants next season, telling sports daily AS Thursday he wanted to recruit three or four defenders. Mourinho revealed that he had already decided to become coach of Real Madrid before the Champions League final which his club won at the Santiago Bernabeu stadium last Saturday. Asked how he planned to bolster Real, the 47-year-old former Chelsea and Porto manager said he wanted to bring in "three or four defensive players, but who improve our attack". He refused to be drawn on the possible transfer of attacking Brazilian full-back Maicon from Inter, but judged a move by Argentina striker Diego Milito, the scorer of both goals in the final against Bayern, unlikely. Concerning Spanish veterans Guti, 33, and Raul, 32, Mourinho said that the former was already "out" having expressed his desire to leave, leaving a question mark over Raul, who could also leave. Real Madrid opened the way for Mourinho to take over after they sacked coach Manuel Pellegrini on Wednesday. Florentino Perez, president of the Spanish giants, said that a need for change had necessitated the dismissal and the courting of Mourinho. But Pellegrini warned Thursday that his successor will have his work cut out with the Chilean claiming that the Real coach has no say on recruitments. Pellegrini told Spanish media that he had "very big differences (with management) at the beginning of the season (2009/10)" just after his arrival and that "it was difficult to continue a relationship like that". And he said he had opposed the departure of Dutch players Arjen Robben and Wesley Sneijder: "For me they were two very important players ... but unfortunately it's a subject on which the Real Madrid coach doesn't interfere." Concerning Real's emblematic president Perez, who instigated the club's 250-million-euro recruitment drive last season, Pellegrini said: "I can't say anything bad about him ... because I don't know him. "I haven't spoken to the president since August." Pellegrini added that Perez "has a sporting project which I didn't fulfil and he has the perfect right to change", but he added: "I would have liked to know him a bit better." Mourinho is set to become Real's 10th coach in as many seasons, during a period when their great rivals Barcelona have had just two with better results and titles. However, according to media reports, Mourinho's transfer will only be completed when Inter are certain of recuperating the 16 million euros stipulated in the get-out clause of his contract runs until June 2012.